iPad has become the most popular tablet ever since it’s announced and certainly there’s a reason for that. It’s got the best tablet user experience as it provides a big screen, the smooth and visually pleasing iOS, countless of refined preinstalled and third-party apps and more. iPad’s got a great camera among all the tablets, too. So some people would like to take pictures with iPad. And thanks to the big, clear screen on iPad, it’s an absolute pleasure to browse pictures on it. When you store photos on iPad, there’s a risk of losing them. Many people have the experience of mistakenly deleting the photos on their devices. And most of the time it’s retrievable thanks to Apple’s Photo app which stores the deleted photos in a Recently Deleted folder for a certain period of time after it’s deleted from Photos or Albums folder. And later the photos in Recently Deleted folder would be deleted permanantly from iPhone. But it’s still possible to get them back to your iPhone if you want. In this post you would find several methods to recover deleted photos from iPad. There are certain numbers of programs that can help you recover deleted photos on iPad. 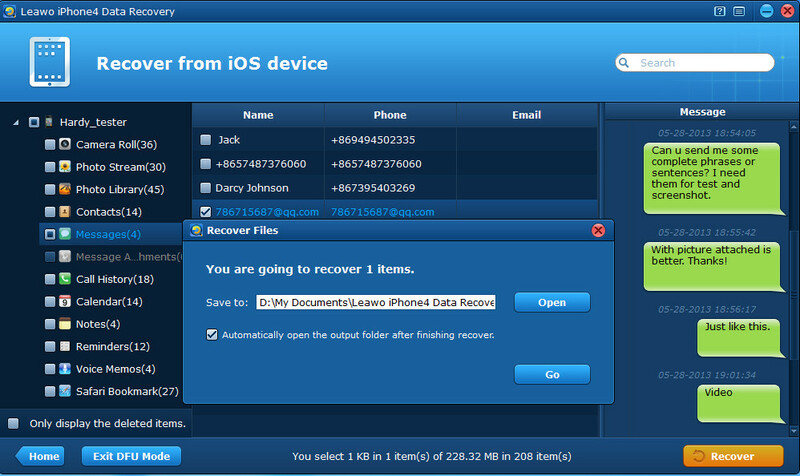 Leawo iOS Data Recovery is one of data retrieval programs that can help you recover deleted photos on iPad. With it you can easily recover the deleted photos on iPad directly from iPad itself. Here’s how to recover deleted photos from iPad using Leawo iOS Data Recovery. Step 1: First you’ll need to download and install Leawo iOS Data Recovery on your computer. And then fire it up. 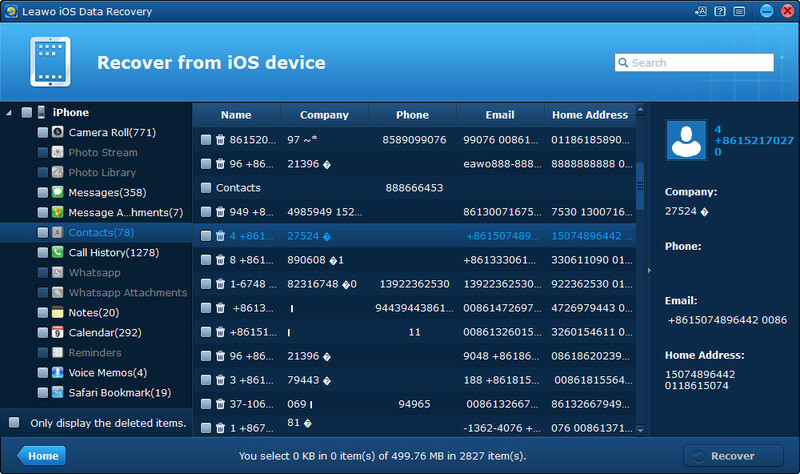 On the main interface, click on the first tab to enter the Recover from iOS Device mode. 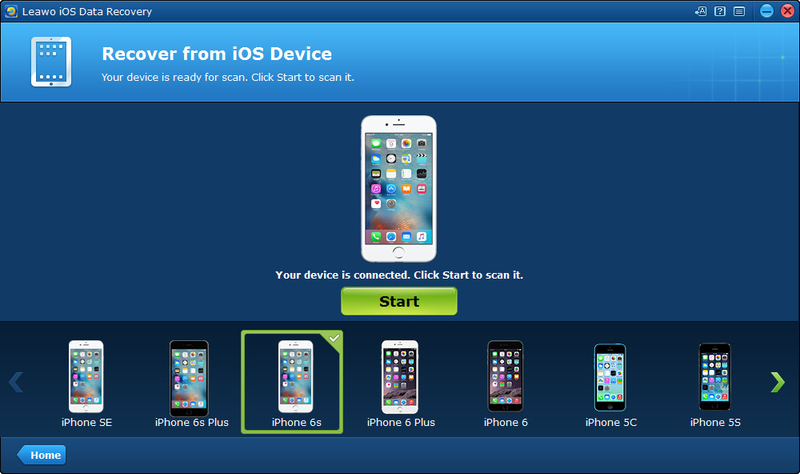 Step 2: On the device list, choose your iPad and click the Start button to start scanning all the data on your iPad. Step 3: When the scanning process is done, you’ll be able to see all the retrievable data on the interface. Click on Camera Roll to check out the photos. Check the Only Display the Deleted Items option to see the deleted photos only. 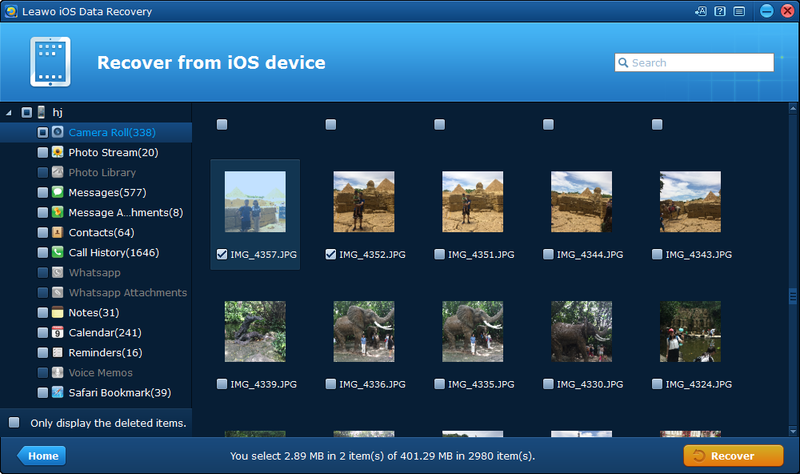 Step 4: Choose the photos you’d like to recover to your iPad, and then click the Recover button at the bottom right. Step 5: A window would pop up and prompt you to set directory for the backup of the photos you’ve chosen. Click Go button at the bottom of the window and the program would start recovering the photos you’ve chosen to iPad and at the same time saving them to the location you chose previously. If you have already had all your photos on iPad backed up in iTunes, that would be perfect. You can easily recover deleted photos on iPad from iTunes backup with Leawo iOS Data Recovery. The reason why I don’t recommend iTunes to you for recovering deleted photos is that you can’t recover specific photos to your iPad without recovering the whole package of the backup. 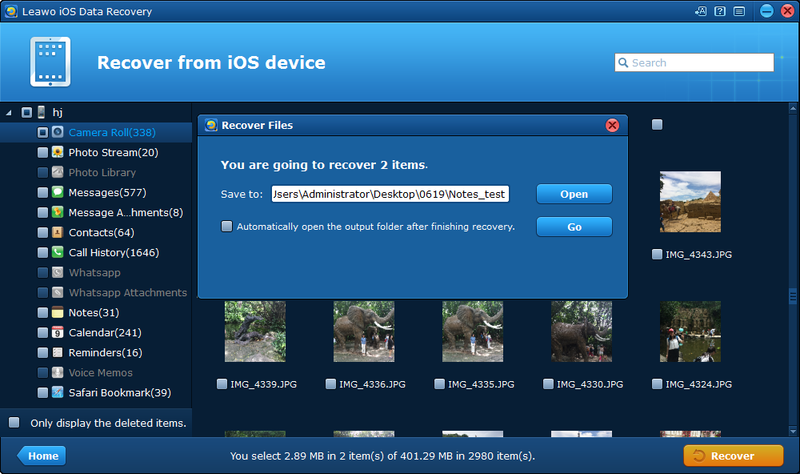 Leawo iOS Data Recovery, on the other hand, allows you to choose specific photos to recover to iPad. Below are the instructions for you to learn how to recover deleted photos from iPad backup in iTunes. 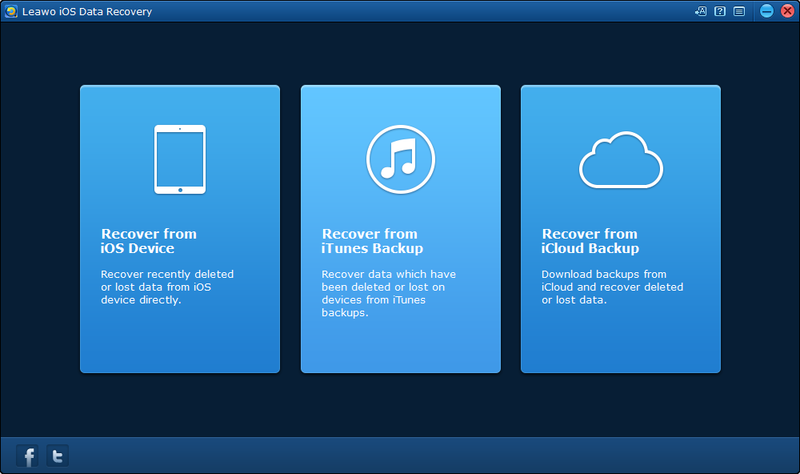 Step 1: Fire up Leawo iOS Data Recovery and click on Recover from iTunes Backup tab to enter the iTunes backup recovery mode. 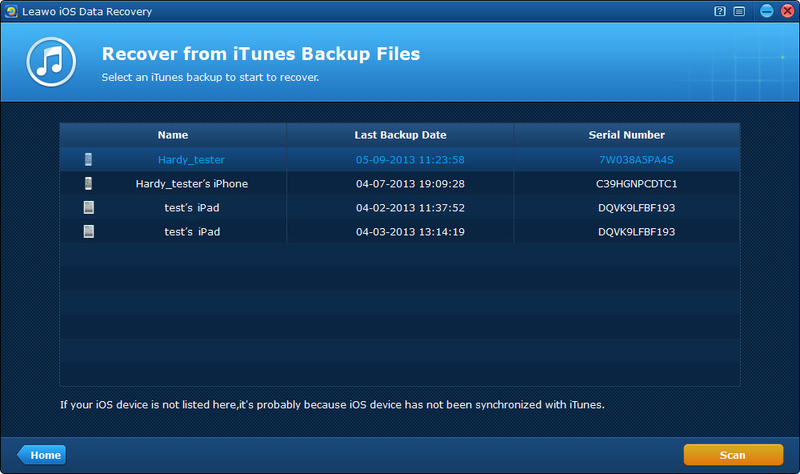 Step 2: You should see the backups of all iOS devices you’ve created in iTunes on the list. Choose the one with the photos you’d like to recover to your iPad and click Scan button at the bottom right to get the program started on scanning the backup. Step 3: After the backup is throughly scanned, you can check out the photos by clicking the Camera Roll option on the left column. Choose the photos you need and click the Recover button. Step 4: a window would pop up and you need to set directory for the backup of the photos you are about to recover to your iPad. Ane then click Go to start recovering photos to iPad from iTunes backup. With the help of Leawo iOS Data Recovery, you wouldn’t have to worry about mistakenly deleting photos from your iPad. Anyway, it’s always necessary to have your important data like photos backed up to a save place because you’ll never know if you are going to lose them by accident someday.